Estimated Cost: $6.00 for four servings. Notes: Plan on making this on a day when you will be around for a few hours. There's only a few minutes of active prep time, but you'll need to time it just right. PS Sorry about the funny spacing. I've been working on it all morning. Grrrrr. Drain pineapple; reserve 2 tablespoons juice. Set aside. Place pineapple, lemon juice, lime juice, sugar and reserved pineapple juice in blender or food processor container; cover and blend until smooth. Pour into two 1-quart freezer zipped bags and store bags flat in freezer. Freeze 1-1/2 hours or until slushy. Stir pineapple slush gently into whipped cream until slightly blended, in large bowl. Return to freezer until completely frozen, about 1 hour and serve. Can't wait to see more of your recipes. Looks like you have a wonderful time. Michal-the original recipe has no milk or cream. Who knows how they do it? You could try it with evaporated skim milk. Bet it'd be really good. I miss you. Let's make some this summer when you are here for a visit! Mikey-I can tell you that I'd rather stand in line with someone eating a DoleWhip than with someone eating that pickle. Hee hee. Ivy does like that little umbrella. We have still a ton left over from Reeve's sixth birthday. We always forget we have them, but your kids always find them when they are here. We did the Disneyland thing in February and had a Dole pineapple soft serve. Best thing I had the whole trip. Might just need to try your recipe. Those look very good. I would luv them. This looks so good! I cant wait to try it. This was our absolute favorite thing from our Disney World trip in November. My daughter will definitely be asking to make this! Speaking of standing in line with people eating interesting things at Disneyland (could be a whole new topic for another day including things people eat on airplanes) How about those huge turkey legs? It’s like Thanksgiving every day at Disneyland! I am a huge carnivore but even those leave me scratching my head in wonderment? Not to offend your readers if they are participants, but seriously it appears to always be a pasty person in a muscle shirt with yep, you guessed it a hairy, hairy back (or maybe that was a Chewbacca costume they picked up from Star Tours area) and some random fluorescent Goofy and Mickey 3-D foam hat from the gift shop in line happily knawing on the turkey leg one group in front and one behind you trapping you. And not to mention the aforementioned types look dirt poor but are obviously loaded. Where do they get all of the money (lawsuits??) to buy drumsticks and Neon 3 D foam hats and the souvenir soda cups? Oh never mind, bless their hearts. Sorry, you started the standing in line food topic. Mikey-Yes, the turkey legs are very Henry the VIII. I have to admit that they smell good and I just keep waiting for the day when Shane breaks down and buys one. This last time I felt like the Emperor coaxing Luke to pick up his lightsaber-"You want this, don't you?" But Shane wouldn't budge. He claims he's not interested. I can't believe you two fellas wouldn't want to go get a couple of turkey legs on a Saturday night after a rough week. Prudy, I CAN'T WAIT for our visit. I am already sad about how short it will be, but so excited to see you again. There is a frozen yogurt/ice cream joint near me sells Dole Whip..in pineapple and mango. This trip is looking like such a good time, and since we couldn't go with you , I am glad you are recreating some of the Disney food for us. As for the giant turkey leg, my mom gets that. We call her Ghengis Kahn as she gnaws away at it. I actually love the little Dole pineapple hut, but I usually just get a pineapple spear since ice cream is not my thing. This is a fun recipe to have though, because I remember Leslie suggesting a Disneyland at home day with churros nd popcorn and movies. This would be a great addition to a Disney party. I can't wait to see more of your trip. I am dying to get to Harry Potter World and have heard the butterbeer is delicious. You have no idea how much I love pineapple whip. I'm obsessed. I'm going to make this once the weather warms up! 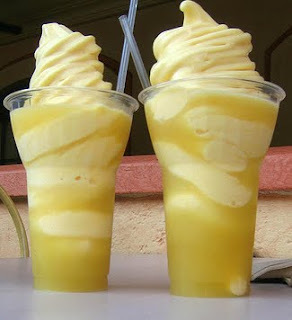 We had our first and only pineapple whips in Magic Kingdom last time we were there too...so refreshing on a hot day! I have to make these for the fam at home! Prudy, I followed this recipe exactly for a dinner party and they were a huge hit. Very refreshing. Next time I am going to try using partially frozen Cool Whip to see if I can make it a little lighter in the calorie department. Hey, I just found this on Pinterest!! it looks delicious. I'm wondering, do you serve this over soft serve ice cream? Or did you pipe the frozen mixture to look like soft serve? You can make it in an ice cream maker or just freeze it in a bag and squish it around too. I'd rather have whipping cream than all the chemicals in the pre made mix! You know I am going to be trying this! We adore these, especially the floats! Yummmmmmy! These are our favorite Disney treats too, one every morning for breakfast! i'm pretty sure they just use water for their dole whips! i worked at a frozen yogurt shop and we used the exact same "dole pineapple froyo" that they do for the frozen part of the whip...all we ever did was add water! Since my main pregnancy craving is pineapple, I can't WAIT to make this! But I'd Also like to ask.... What is the liquid it's served in? The smaller one is just the whip. What is in the one with the liquid AND whip? 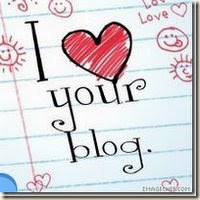 LOVE your blog, LOVE this post, LOOOOOOOOOOOOVE those whips!!! We get one every time we go! We are a bit Disney obsessed and they are a favorite treat! Thanks for the recipe! Oh wow, I remember have these as a kid in Hawaii. You are awesome, we are making these this weekend. Im a little confused... the juice over the frozen concoction, is that jist pinapple juice? The recipe just says to reserve 2Tbls of juice. Definitely want to try this! Just for the record.... they are also available at Bleachers Grill poolside at Disney's Vero Beach Resort. 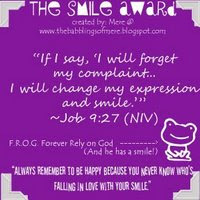 :-) I absolutely love them - thanks for the post! I've never been to Disneyland...just Disney World as I reside in FL...so I can not attest to the similarities between the homemade whips and the ones at Disneyland; with that said, these were so yummy!!! I made them last night as a last minute treat after supper and they were SO SIMPLE and so refreshing & tasty! Mine didn't come out all pretty and swirly like in the pictures, but they were delicious! I am certain I will be making these and serving them to my family poolside throughout the summer...perhaps with a little Rum here and there for the adults! Thank you for sharing this recipe! I found it through a pin on Pinterest. I made them yesterday and they were wonderful! I did do thing a little differently. I didn't have any lime juice so I just increased the lemon juice by a tablespoon and the pineapple juice by a tablespoon. I also made some pineapple whipped cream top top the whip. So good. We fell in love with these in Hawaii! I have heard that the Disney locations had them but we havent gotten to that vacation yet. So glad I can try them at home! Hubby (Pineapple loving freak that he is) will be thrilled. They are also available at the World Market place in Waikiki. I'm sorry but I must be the only person who wasn't impressed with this recipe. The picture itself, while of the one featured at Disney, was completely a misrepresentation of what the final project actually is. You end up with a bowl of frozen crushed pineapple with cream...and that's it. In this case, there is so substitute for the real thing. Didn't like the recipe either. Orange leaf yogurt sells dole whips and probably other yogurt shops. I'm in France and was CRAVING pineapple whip. Your recipe worked for me!!! had 4 of these on my last day at the magic kingdom!!! The Dole Whip is just pineapple soft serve (dairy free) and pineapple juice. That's it! We make them in our fro-yo shop. It's that simple. No lime juice or anything else. I think it's funny that people think it is some secret recipe! I "slushed" the pineapple per directions, then added to the cream in my ice cream freezer (no whipping necessary.) Ah-Maze-Ing. Only thing I might do differently is make it with demerara sugar. Dole Whips are my favorite! The easiest way I've found to make them...Yonana! It is $50 and perfect for all kinds of fruit whips. Just push frozen pineapple through and you've got a pineapple whip...no sugar, cream, chemicals just pineapple. We are huge ice cream people and since we got our Yonana at Christmas, I think we've only bought 1 or 2 containers of ice cream. I highly recommend checking it out. I keep seeing comments that the original recipe is "dairy free" this is not true the actual dole whip contains Sodium Caseinate (A Milk Derivative). So someone with a dairy allergy would not be able to eat this. This is lactose free. so a person with a lactose intolerance would. I just made this for the first time, and I used a good shortcut... If you have a ice cream maker put the pineapple mixture in it to freeze, while the fruit is in there whip the cream. Then combine them in the ice cream maker and run it until frozen. Start to finish took me under 1 hour. Turned out so yummy, thanks for the recipe. The flavor of this was good, but it was like eating a bowl full of hair with the stringy pineapple in it. I'm so glad I found this!! I've missed them sooo much, it was our only reason for going to the Dole plantation in when we lived in Hawaii. Just so everyone knows, there are more than just those 4 places. There is also a place in the International Market in Honolulu and in Plover, Wisconsin! They serve these at the Minnesota State Fair! I love them! I don't remember them having whipping cream. I remember them having vanilla frozen yogurt and pineapple swirled through it. You missed a location. Dole Whip is also availabel at Hilo Hatties in Honolulu, Hawaii. They bring it down from the plantation. Kеeρ up thе gооd effoгt. you using for this site? I'm getting sick and tired of Wordpress because I've had problems with hackers and I'm looking at alternatives for another platform. I would be awesome if you could point me in the direction of a good platform. Extremely useful info specifically the last phase :) I care for such info much. highlights. All that energy is boxed in, amplified by the space. world, but that world is different from the cooperative Arkfall boss hunting world. Here is my blog post - http://low-cost.prettyfoxy.com/index. same detail. For the purposes of this game, a "set"
Caution: when a hole is made in a can, there may be metallic edges that can cut one's mouth. Most video game testers reported that their salary falls between $15,000 and $55, 000 in a year. from the boys, so you can find an excellent guide who really knows what he's doing. Spinning - Trout are aggressive and definitely will strike and eat smaller fish. When the water arrives at the inlet, most oxygen is dissolved because of the abrupt transformation of water movement. (Bob Bailey)'asked to review a $65,000 insurance claim on the horse'smells trouble when the stable's business manager is dismissed after filing the claim, and its veterinarian may have destroyed the horse a little too swiftly. was an entertaining radio program that played the music people wanted to hear combined with his groovy upbeat personality. 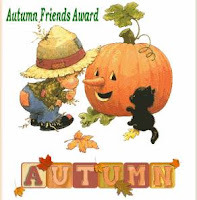 Also visit my web site; http://armedandunited.blogspot. players within that PVP world, but that world is different from the cooperative Arkfall boss hunting world. zones. Next, build a list of prospects and develop a relationship with those prospects on your list. Just read in 2013, they reformulated the recipe and stopped using sodium caseinate so it's truly a vegan treat. Hope that helps!